What Is The Best Grip Training Program? What is the best grip training program? Our forum members share their collective knowledge on types of grip training, exercises, workouts, who would benefit and more! Read on for the details! TOPIC: What Is The Best Grip Training Program? Grip training is often overlooked in many workouts. However a strong grip can play a big role. What is the best grip training program? Be specific. What kind of results can one achieve from grip training? Who would benefit from grip training? Bonus Question: Have you used a grip training program? Was this a positive addition to your training & would you recommend it to others? The local powerlifter, Joe, walks into the gym, and slaps on the 100's that are covered with cobwebs. He puts on his gloves and straps, and lifts more than you could ever imagine. The entire gym is shocked, and the manager is ready to make him pay for the bent bar. Scenes like above are more common than you might think, although it is a bit exaggerated. Joe might be getting a great workout, but is cheating himself out of grip strength. Grip, which is different from forearm training, is probably the most overlooked aspects in a training routine. But grip training can benefit you in, and out of the gym. What Is The Best Grip Training Program? Be Specific. Before you think about the best program, you need to learn the types of grip-strength. Pinching strength is your thumb and fingers pushing toward each other. An example is grabbing a weight plate. It does not have much use in the real world, but can add size to your fingers (thumb included), and extensor and flexors of the forearms. This is what is most commonly called 'grip.' An example of this is trying to crush a soda can, or shaking hands. The pressure of this grip is mainly on the palm and fingers. Supporting grip, or holding grip, is the most commonly used of the three grip types. It is when you hold onto something, and an example is a tennis racket. Finger, forearm, and palm muscles are used in supporting. A good grip-training program will strengthen all three of these grips by focusing on the fingers and forearms. By only focusing on one type of grip you may be at risk for certain health problems to occur. Even if you only need one type of grip strength, you should still train the other types. Grip training is best trained by going 'to failure,' or when you cannot continue the exercise. Training grip should be like training calves; with high intensity. This is because both your wrist and calf muscles are used very often in holding and walking, respectably. Training with low intensity is like trying to put out a fire with oil. This makes it different from forearm training, which is for pure hypertrophy, even though grip training will result in some hypertrophy. Grip strength will already by trained by doing exercises such as curls, shrugs and deadlifts. But a lot of the time, your grip strength will not progress as quickly as the rest of your body. That's when you add in the grip-specific training. It is also beneficial even if you are not working out seriously, and would just like to improve grip. Okay ... so lets hear the workout! If you're doing this as a supplement onto an existing program, start with one set. If it is only for grip-strengthening, do three sets. All exercises should be to failure. Warm up with wrist curls and hand rotations. No weight is required. Use apparatus such as a gripper or a stress ball. A trusted and recommended brand of grippers is the Captains of Crush grippers. Some exercises for this include picking up weight plates with your thumb and fingers, and doing wrist curls. Flexed-arm hangs and farmers walks are great for this. Flexed-arm hangs require a pull-up bar, and you basically do a chin-up, but keep your chin above the bar. Farmers walks are the most popular, and you do it by holding two dumbbells on your sides, and walk. You might think is a leg exercise, but your grip will give out faster than you think. 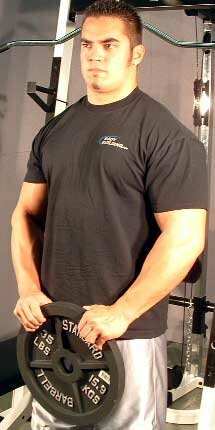 You can do wrist curls, behind-the-back curls, and reverse grip curls. Other exercises can be found here. Note that this weight should not be too light, but should be heavy enough to do a fair amount of reps, such as 10. Also, the amount of sets can fluctuate, as everyone responds to workloads differently. One set is all I need, but Joe in the gym might need two or three. What Kind Of Results Can One Achieve From Grip Training? The result of grip training will be a stronger grip, and larger forearm/hand muscles. A stronger grip will benefit you both in and out of the gym. In the gym, it helps support weight for exercises such as bicep curls, shrugs, deadlifts, power cleans, and so on. 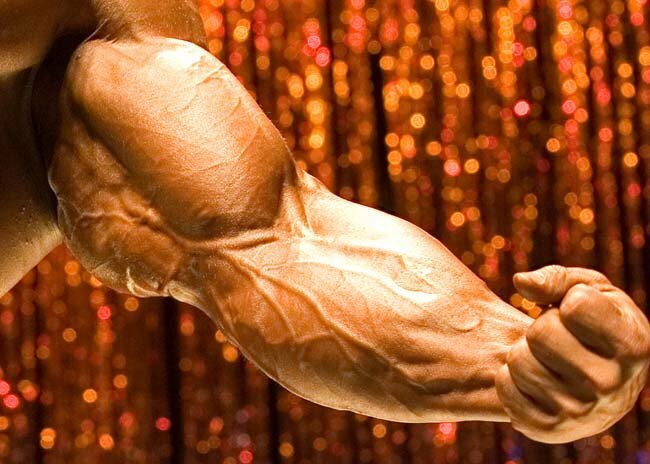 Outside of the gym, you arm-wrestle better, shake hands harder, crush soda cans easier and so on. The benefits are endless. 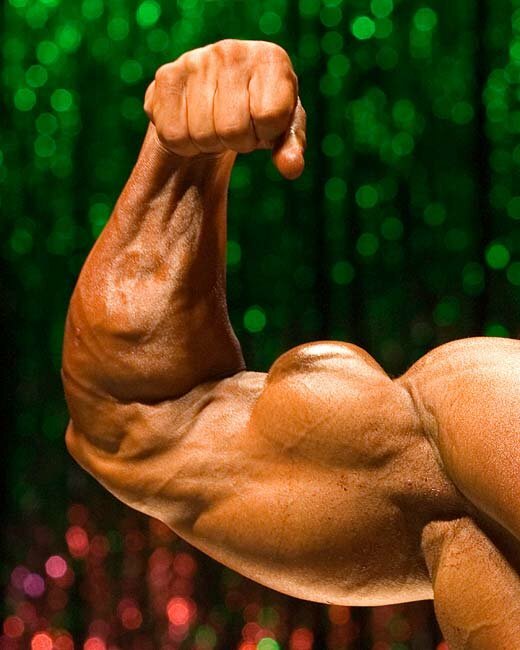 Larger forearm muscles will make the appearance of your arms being larger. Also, in public, if you are wearing a shirt on, most of your hard-earned muscles will be covered. Your forearms show though, and you will generally look larger. Who Would Benefit From Grip Training? Everyone will benefit from grip training, but of course there are specific people who will benefit the most. Construction workers, climbers, athletes, arm-wrestlers, golfers, gymnasts, swimmers and weightlifters (namely deadlifters) will benefit the most from a stronger grip. Weightlifters will have a better hold onto the bar or dumbbell in an exercises which requires it. Not only do you need grip when you deadlift, but also when you do pull-ups, curls, curl variations, shrugs, rows, and deadlift variations. 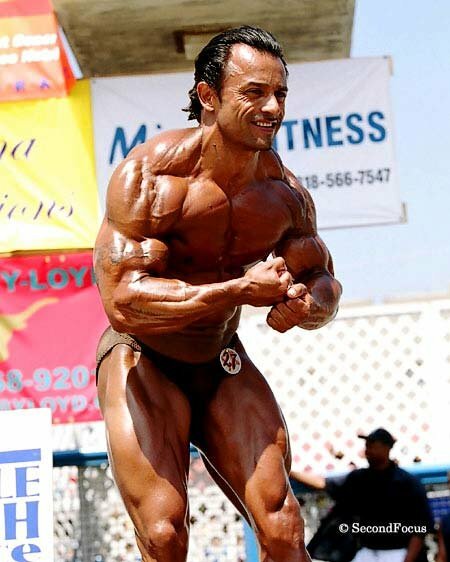 Bodybuilders are classified under weightlifters, so they will get the benefits stated above. But you will also notice that the extensors, flexors and your general forearm will get larger. Construction workers, climbers, general athletes, arm-wrestlers, golfers and swimmers all benefit directly from grip training. Whether it's holding onto a rock, a hammer, a golf club, water or someones hand, grip training will help you do it more effectively. Have You Used A Grip Training Program? Was This A Positive Addition To Your Training & Would You Recommend It To Others? Yes I have, every day that I workout. It was not necessary, but the benefits were great! It was beneficial to many things, but I saw the most gains in my swimming. In the water, especially during a tough breaststroke set, you will feel like your forearms are giving out. This results in less water being pulled, the worst enemy of a swimmer. Now, I rarely ever feel this happen to me, and I dropped many seconds in the 200 breaststroke due to this. Also, I deadlift a lot in my workout program, and I found that even doing alternate gripping wouldn't keep my grip up to par. After adding a grip-specific training program, I can do the same weight, but with a standard grip. I would recommended grip training to everyone who would like to reap these benefits. Grip training is often overlooked in many workouts. However a strong grip can play a big role. What Is The Best Grip-Training Program? Be Specific. Most people don't put the time into training grip, not knowing the true benefits of it. Grip training does not take much time and can be added to the end of workouts easily. During workouts, many big lifts will work grip strength, here are a few you probably already do in your routine which benefit your grip. Now these kinds of lifts get you decent grip, if you want to excel you need to put in the extra time. The big advantage of grip training is that it works like magic, and takes minimal time. Grip is controlled (for the most part) through the forearms and hand muscles. This means lifts are relatively small and will not be taxing on your CNS while you still obtain maximum results. Similar to the calves, the forearms can be trained every other day, but for best results, one should strive for 2-4 sessions of grip training per week. I would suggest doing these at the end of a workout; they are small lifts that are good as a cool down. Personally, I receive the best results doing things in sets of 4x8, for most people they get optimal results on a 5x5. For this reason, I'm not a big fan of suggesting Sets x Reps as everyone's body is different and responds to different intensities differently. I suggest trying different ranges for the first few weeks to see what is the best, or you can simply change your rep scheme each session. **Always warm-up properly before every workout or training session, even in this case where it's simply forearms. What you can do is just forearm rolls and move your hand in different motions like circles, up and down, side to side. It is not necessary to do all of these every day; they can space out to fit your specific workouts and current schedule. Once again, experiment to see what the best Set x Rep scheme is for your body. There isn't much else you need to do for your forearms. If you are unsure of some of the above lifts, check the BB.com Database. Well, apart from having massive forearms, you'll gain amazing grip. As with all training, results don't come overnight, one must wait a while and stick to the exercises and results will come. Once results start kicking in, they will be noticed in the difference of your workouts. All lifters can benefit from this. 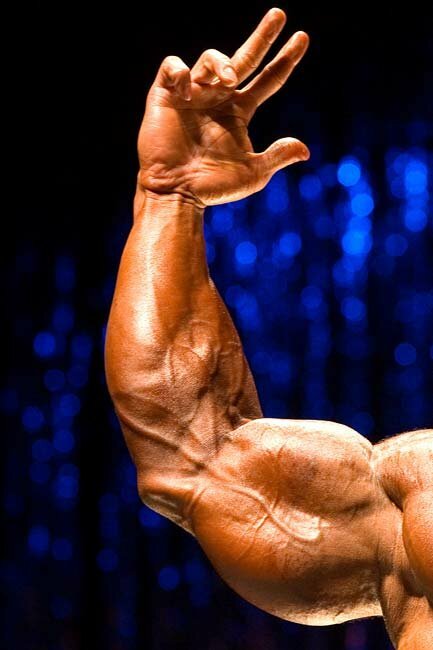 Bodybuilders would gain the advantage of having that much extra work on their forearms, which may be a small muscle, but is still noticeable, and it helps to have big forearms. Olympic lifters and strongman competitors will definitely want grip. Olympic lifters are pulling and pushing heavy in ways most bodybuilders don't, and the last thing they want in the middle of a competition is to have sweaty hands and have their grip slip and drop the bar. It just helps take one more detail out of your mind and focus on the big picture. Olympic lifters compete in events where they are always holding things by their hands, whether it is a disk, ball, rock or pulling an enormously large object, and you don't want your hands to slip, as you'd drop the item, lose time and points. Athletes can greatly benefit grip training. Many sports involve gripping a ball, bat, club, stick or something of that nature. Sports like football and rugby are a good example. It happens to me far too often where I'll make the pass, it hits the next guys hands on the spot, then he drops it. This used to happen to me all the time too, but grip training will help you get better catches and grip on the ball to prevent fumbles. Have You Used A Grip-Training Program? Was This A Positive Addition To Your Training & Would You Recommend It To Others? Grip training was probably one of the best decisions I have ever made. Over my 2 years of lifting, I have noticed that my lower body strength tends to increase much quicker than my upper body. I believed this was the result from having skinny forearms. So before grip training, lifts like deadlifts and stiff-leg deadlifts were getting a little boring as the weight was too easy for my legs, but still giving me a good workout on my back. So that's when I started grip training, and apart from my forearms getting bigger, it was that much easier to do deadlifts because I didn't have to worry about dropping the weights. As an athlete, this is when I began to excel. I first did grip training about a year and a half ago, just before my football preseason and rugby season. This is when I noticed the results on the field. That season, I never once dropped the rugby ball; I rarely cradled the ball in my chest and was usually running with it in a position where I can still make a pass with only my hands on the ball. Grip training changed everything for me in football. As an outside linebacker I was often dropping into coverage, coaches saw all the 1-handed grabs I made for the interceptions at practices, they saw the catches I made from tight end. When they saw the interception I got that preseason and the return it gave me, they moved me to play fullback, the one position I have always wanted to play. So enough going off-topic there, just reliving some memories. Grip training has benefited me, and I would recommend it anyone and everyone who wants to excel in anything sports or lifting related. 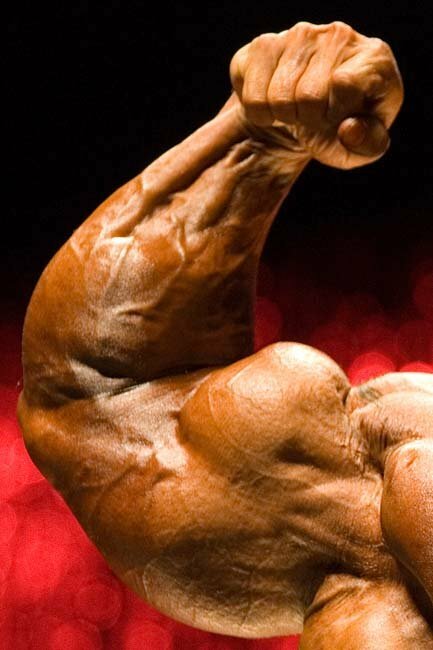 Question: Do you ever see those guys with their freakishly huge arms, and think to your self, "Why can't my arms look like that?" I know you have, believe it or not all guys do at one time or another! You have probably trained harder than you ever thought possible; but still you think to yourself man, "Why don't I look any bigger?" And NO, it isn't your clothes wear (contrary to what some may believe). 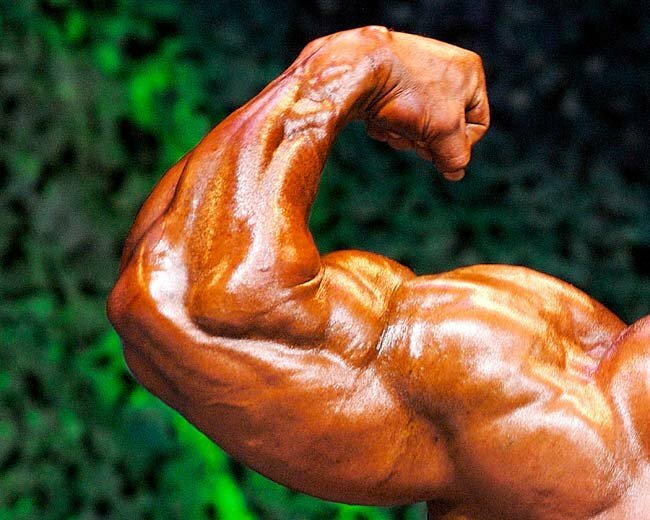 The real secret to why your arms don't look the way you want is because of your forearm size! You may have nice sized triceps and biceps, but unless you are always walking with sleeveless shirts, most people won't notice your arm size because it's simply hidden by your sleeves; and the only thing showing is your forearms! So the simple resolution is to train for forearm and wrist size! And that is where the amazing GRIP TRAINING comes into the picture. "Grip training is often overlooked in many workouts. However a strong grip can play a big role." This is so TRUE! Many guys train their bodies away without acknowledging that the results they want can't be accomplished without the strengthening of the missing link. And for most guys this missing link is probably the weakness in their grip. This article will inform you on: the best grip training program, the results you can achieve from grip training, and who can actually benefit from grip training. There are so many ways to strengthen your grip, but one is not to just go buy some grippers from Wal-Mart and expect to have strong grip. But, for starters you have to understand that you can over train your wrist and forearms just like any other muscle you work out. One way to prevent this is to take a 3-day rest period in between each grip training session. This type of grip strength is usually associated with the type of strength it uses when you shake someone's hand. The crushing grip can be strengthened by using squeezable grips. Not the cheap plastic ones; the heavy duty grips are recommended. Remember low reps, high intensity. Once you can close them, on your last rep see how long you can keep it closed. The pinch grip is basically in the fingers. This type of strength is used typically when trying without the object touching your palm. Example might be holding a weight plate. Don't overlook this one; finger strength is key in strength gains as far being able pull instead of just pushing weight. Pinch grip gives you the strength you need to grip larger objects. Just because you have good crushing grip strength doesn't mean you have good pinching strength. Pinching is usually associated the actual clamping of your hand before you grab something. Basically fingertip strength. This is generally the strength type used when holding an object for an extended period of time. This may involve holding a bucket while walking. Important to remember while training is to not just train one type of grip because this can lead to an imbalance in the muscle, which may put you at risk for certain health problems. A good program consists of all three of the grip strengthening types. The weight used in these exercises should be relativity heavy. This grip type should be trained for endurance, meaning work for time and distance improvement. A good exercise would include holding equal heavy weight in each and walking with it till you can't hold it anymore. You can also see how long you hang in the pull up position. One of the best for this type of training involves the use of a hammer! I wouldn't suggest just smashing wood into the ground in your backyard; but if you have the opportunity, do so! A good alternate exercise could be the reverse barbell curl. Results, where do I start? With grip training, one may gain more than they probably realize. You will finally have those hard sought after muscular arms! 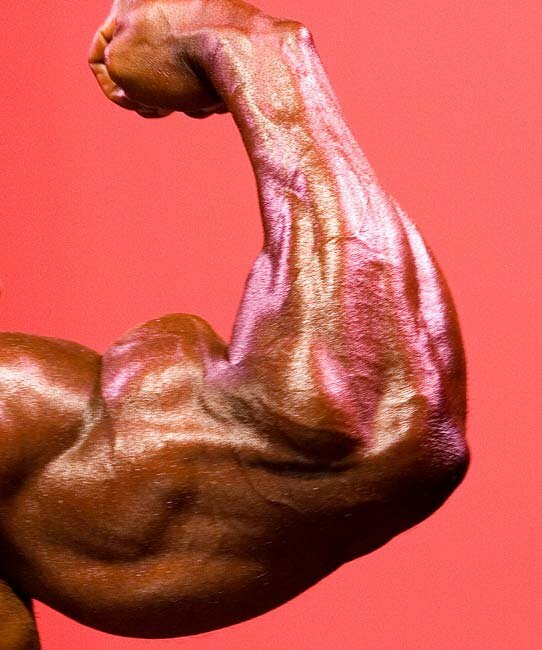 The increased size of your forearms alone will make your overall arm size look bigger as well! With stronger forearms you will gain more punching power; and for all you wrestlers, because of your new hand and wrist strength, you will have a stronger grabble! Not to mention you will also be able to ultimately lift more weight in the weight room! And last but not least, you will now possess that firm manly handshake. The question should read: "Who CAN'T benefit from grip training?" Tennis players, wrestlers, boxers, bodybuilders, football players, arm wrestlers, kick boxers, construction works, swimmers, and almost anyone else you can imagine. Yes, I have used a grip training program. For the first couple of months I really didn't see size increase, but I noticed my punching power increased dramatically! The past few weeks I have been seeing some size increase. I am a construction surveyor, and I have had some outstanding size improvements in my forearms and it's because of me swinging a hammer all day into the ground! Everyday when I come home from work, I can just feel my arms getting stronger. So I would recommend all of guys out there to swing that hammer! Get creative, you can build a shed or bookshelf, just use that hammer. I know for a fact that this helps because my father never lifts weights but he has some of the biggest forearms I have ever seen, and he is also a surveyor and has been for 23 years.